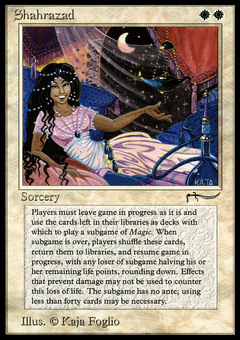 Shahrazad ($355.99) Price History from major stores - Arabian Nights - MTGPrice.com Values for Ebay, Amazon and hobby stores! 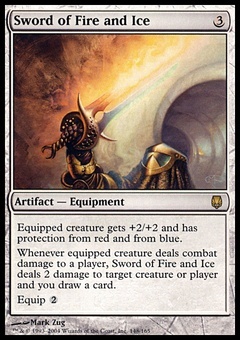 Card Text: Players play a MAGIC subgame, using their libraries as their decks. 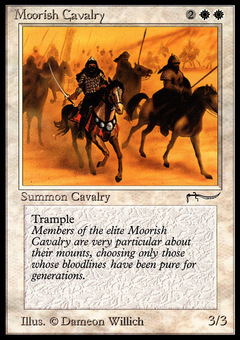 Each player who doesn't win the subgame loses half his or her life, rounded up.